When browsing the web, certain items such as images and web pages are stored or 'cached' in your browser. These cached items take up memory and can cause your browser to run more slowly than usual or crash. If Rotageek isn't running as you would expect in your web browser, we suggest clearing your cache. Below we'll walk you through how to do it for the main internet browsers. For the optimum Rotageek experience, we always recommend that you use Google Chrome browser. If you're using an alternative browser, switch over to Chrome to get the most out of Rotageek! On the right hand side of your Chrome menu bar you'll see 3 vertical dots. Click here, then navigate to Settings. 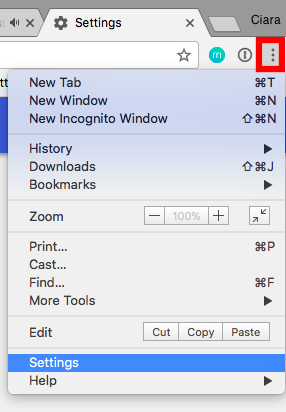 If you're browsing Chrome on a Windows PC then the vertical dots with be replaced with 3 vertical lines. 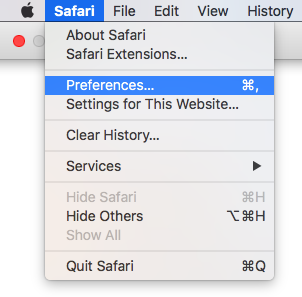 If you're on an Apple computer, scroll down to the Privacy and Security section of the Settings page. You may need to expand the Advanced section to get here. In the Privacy and Security menu, click Clear Browsing Data. Tick the Cached Images & Files box, then select Clear Data and you're good to go! If you're using a Windows computer, select History in the left hand side menu. Then click on the Clear Browsing Data button. Tick the Empty the Cache box, then finally click Clear Browsing Data. Then select Privacy and click the Manage Website Data button. From here select Remove All and then Remove Now. All done! Click the Tools icon in the right side of the menu bar. Select Safety, then Delete Browsing History. This opens up a new dialogue box. To clear your cache, check the Temporary Internet Files and Cookies boxes. To make sure you don't lose your favourites uncheck the Preserve Favourites Websites Data box. Finally click Delete. 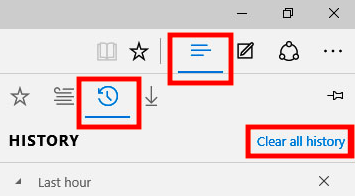 In Edge, select the icon with three horizontal lines in the menu bar. Then click the History button (it looks like a clock!). Next click Clear All History. From here, select the Cached data and files box, then click clear. Click the three vertical horizontal bars on the menu bar. Click History, then Clear Recent History. Set the Time Range to Clear as Everything. Expand the Details segment, and tick the Cookies and Cache boxes, before clicking on Clear Now. If you've tried clearing your browser cache and are still experiencing issues using Rotageek, please contact our support team!